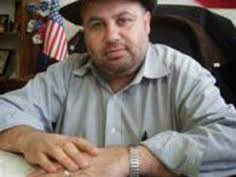 Dialogue with the U.S. Government, Opening Up to the Gulf A who’s who of “progressive” and “leftist” Arab American activists piled on Mr. Imad Hamad, the former Michigan regional director of the American Arab anti- Discrimination Committee (ADC), with unexpected viciousness. In hindsight, it is expected viciousness. For many reasons - reasons that have nothing to do with the stale harassment claims, the 15- year- old claim of Rashida and the 8- year- old claim of Rana- or Rashida Tlaib and Rana Abbas. There are two key reasons for this viciousness- one domestic and one international. 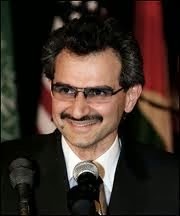 Prince Al Walid Bin Talal is a half Saudi, half Lebanese billionaire. That’s enough for the "leftists"[who knows what it means in today's Lebanon] Lebanese al-Akhbar newspaper to dislike him. They have the right to dislike him. However, they don’t have the right to misrepresent his views and in doing so add to Sunni-Shia tensions that are already at sky high levels. al-Akhbar accused the prince of speaking in the name of all Sunnis. He never claimed that and he cannot claim it. They claimed that he spoke in the name of the Sunnis advocating cooperating with Israel against Iran and the Shia. You feel that you were wronged by an organization. You wait 15 years to come forward with your grievance. You feel that you are wronged and you have waited too long because it is too painful to come forward and you are fearful of the stigma and the reaction you would get from your Arab and Muslim community. But in pursuing what you feel is justice you end up undoing years of the work of well-meaning people who had nothing to do with that perceived wrong. Normally you would feel torn. It's a serious matter, isn't it? How do you seek justice while not inflicting injustice? Many things- but cracking a huge smile to the camera while pursuing your “justice” mission is not one of them. The smile communicates all the wrong messages: Flippant, careless, having fun when the issues are very serious. Below is The Forum and Link's news item that appeared on November 26, 2013 on the topic of the retirement of Mr. Imad Hamad from ADC. 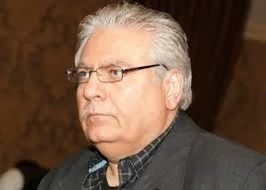 The Forum and Link newspaper, the staff and the writers, thank Mr. Imad Hamad for 17 years of distinguished service of the American Arab anti-Discrimination Committee (ADC) and the community. Throughout these years Mr. Hamad built ADC Michigan, with limited resources and in the face of pushback from other community and parochial organizations, into a formidable presence in Michigan. 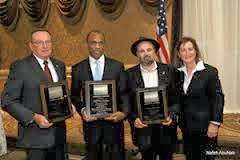 Under his visionary leadership ADC established the MLK event, the Judges’ Night event, and the internationally known law enforcement- community forum, BRIDGES. The "Arab American" News: There They Go, Again: The News Incompetence or Duplicity? After months of immense pressure, of a coordinated smear campaign of Imad Hamad and the American Arab anti-Discrimination Committee (ADC), Imad Hamad retired. 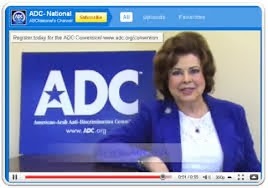 The ADC appointed attorney Fatina Abdrabboh, a Palestinian American attorney as the new ADC regional director. 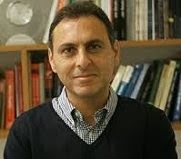 Dr. Imad Salamey, a professor at the Lebanese American University in Beirut, Lebanon has written a textbook on the politics of Lebanon, The Government and Politics of Lebanon. Dr. Salamey is a former resident of the Detroit area. The Forum and Link (F & L) interviewed Dr. Salamey via email regarding his book and the political situation in Lebanon. Below are excerpts. -F & L: Thank you Dr. Salamey for doing the interview and congratulations on your new book. Tell the reader a little bit about yourself. Below is my response to the “Cease and Desist” Letter of Mr. Youmans. I have added subheadings that were not in the original letter for ease of reading. And since I have a PhD please address me as Dr. Alkhatib.